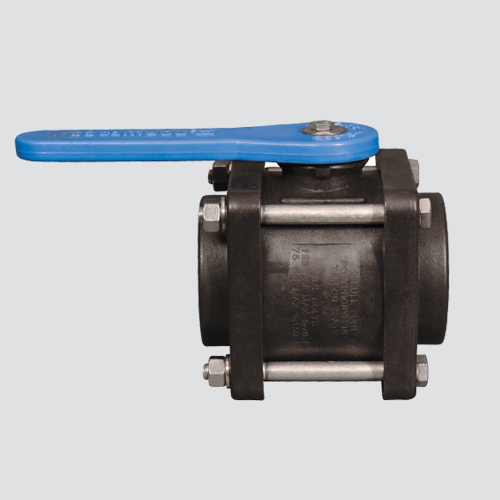 Compact full port ball valves are manufactured from glass reinforced polypropylene for strength, durability, and corrosion resistance. Its unique body and flange design allows for low torque operation, and the self-aligning ball rotates freely against Teflon® seats. This ball valve is more compact than regular bolted ball valves.